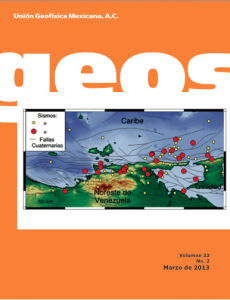 GEOS, Vol 33 No. 2 | Unión Geofisica Mexicana A.C. This entry was posted in Difusion, Geos, Publicaciones, Volumen 33 by geos. Bookmark the permalink.